Susan Sinnott investigates the properties and processing of materials using state-of-the-art computational methods in materials science and engineering. 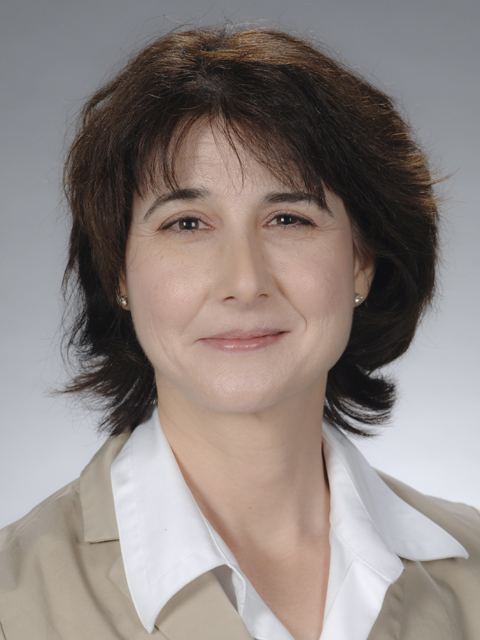 Her research interests include the development of computational methods that enable the sophisticated dynamic description of materials at the atomic scale. The particular computational approaches used by Sinnott allow her to model the structure and properties of materials, either at the atomic level or at a level that includes the explicit treatment of electrons. The combination of these two approaches enables the investigation of a wide range of material problems. Two research problems of particular current interest are investigating the origins of environmental degradation of materials and atomic-scale friction and wear. Sinnott’s ultimate objective in these projects is to develop materials that do not degrade or wear out over their usable lifetime. The first project is focused on metal nitrides, which are attractive for use in high-temperature applications, such as coatings on cutting tools, machine parts, and prosthetic hips because of their high melting temperatures, low thermal expansions, and extreme hardness. However, they undergo oxidation at the high temperatures that are generated in these applications under ambient or aqueous environments. As a result, they transform into metal oxides with undesirable properties. In work funded by the National Science Foundation (NSF), Sinnott is working to determine how composition and structure control surface reaction mechanisms in metal nitrides so that degradation resistance can be increased in these technologically important materials. The second project is focused on understanding the origins of material wear during friction. Frictional interfaces are ubiquitous and play a defining role in phenomena, ranging from the geological scale of earthquakes to the molecular scale interactions that enable gecko mobility. In technological applications, friction is typically accompanied by material wear that eventually requires the replacement of parts. Practical solutions to mitigate friction and wear have traditionally been through the use of lubricants such as oils and greases, but, under the extreme environments found in space applications and high-performance jet engines, the use of these lubricants is either precluded or undesirable. In work funded by the Office of Naval Research, Sinnott is investigating the stochastic processes of rare events that lead to wear in materials that are promising, non-traditional solid state lubricants for use in extreme environments. This work is expected to extend the operational lifetimes of parts used in technologically important applications.